Ready for the 2016 SLMsmart 90-day Challenge? Only a few days remain until the official start of this year’s SLMsmart 90-day Challenge. Have you ordered your SLMsmart pack? Stocked your fridge and cupboard with nutritious foods? Dug your sneakers out of the back of the closet? As a Challenge participant, these are all things you’ll want to do if you intend to take home the $1,500 grand prize for achieving the most remarkable transformation. If you haven’t already signed up for the 90-day Challenge, there is still time! The Challenge begins Monday, February 1. Make the decision this weekend to join. Click here for more Challenge details. 1. Submit your starting weight in Step 1 of the sign-up form. You may also want to record any additional measurements you’d like to track for yourself. 2. Submit before photos. You must complete this step to be eligible for a cash prize. Simply send your photos to slmsmart90@synergyworldwide.com. For tips on taking good before photos, click here and proceed to Step 2. 3. Order the SLMsmart Weight Management Elite Pack in chocolate or vanilla. 4. Join the “SLMsmart 90 Day Challenge 2016” Facebook group. Here, you will receive tips and encouragement from SLMsmart Coach Tommy Bethards and your fellow challengers. You must sign up for the Challenge to be accepted into this closed group. 5. Make yourself accountable by telling all of your friends and family that you are joining a 90-day Challenge so that they can cheer you on to victory. 6. Establish a support group that consists of the SLMsmart Facebook group, Coach Tommy Bethards, friends, and family! 7. Start saying NO to unhealthy foods and beverages that will undermine your goals. Plan your healthy meals and snacks early to take some of the pressure off. 8. Start saying YES to regular exercise. Find great exercise options on the SLMsmart App. 9. Take your first dose of Body Cleanse on day one. 10. Get motivated, get excited and have fun! We cannot wait to get the Challenge started and watch you better your health and your life. We’re here for you all the way! Let’s do this! Today, almost half of the world’s population has Internet access. In 2015, social media users exceeded 2 billion. This being said, there is an expansive audience out there ready to absorb the information you release into cyberspace. Feeling pretty powerful now, aren’t you? Not so fast. You first have to figure out how to make social media users see you and listen to you. As Synergy Team Members, you have a compelling message to share. You want to share Synergy’s great opportunities every chance you get, so taking to social media is arguably the most cost efficient way to take your message to the masses. Whether you’re a Facebook, YouTube, Twitter, Reddit, Pinterest, Tumblr, LinkedIn, Instagram or Google+ user, there are tricks you should learn to get the best product possible out of your social media activity. Here are a few general tips to help you maximize your social media accounts and drive your business. While you don’t have to have every post scheduled to the hour, it’s good to have a general idea of what times are best for posting. For example, there probably isn’t a lot of traffic on social media on a Wednesday morning at 4:30 a.m., therefore, it’s not a good time to post. As a standard, let’s use Facebook to measure good and bad social media practices because it’s the largest social media network by a landslide. According to the Huffington Post, the best time of day to post on Facebook is 1-3 p.m. with Thursday and Friday having the highest activity rate. Studies show that these times vary from one social media site to the next, so do your homework. It’s also best to avoid posting too often, which will cause your audience to hide your posts in order to avoid an overload of unwanted information on their feeds. Posting interesting content once per day will make sure your audience expects your posts and looks forward to them. Generating intriguing content is crucial to an effective social media strategy. Ask yourself: Is this informative? Is this engaging? Is this relevant? You should answer “yes” to each of these questions. Your content should always be Synergy compliant. If you’re unsure about whether your social media content is compliant, please refer to Synergy’s “What Can I Say?” document. Continuously review old posts to evaluate which of your posts are getting the most likes and comments. This will give you an idea of what content is drawing the most attention to your business. Some social media experts say to find the social media channel that is densely populated with your ideal customer and focus on making it succeed, rather than inconsistently dabbling in a myriad of channels. Have you ever noticed that people with an eye for good photography, who have also learned to take beautiful images themselves, receive a fair amount of traction in the social media world? Social media posts that include images or videos get 53% more likes and 104% more comments than posts without a visual centerpiece. Break up the monotony of your customer’s newsfeeds with an eye-catching image that relates to what you’re posting. Now, before you go image hunting, put yourself in a photographer’s shoes. As you look at photos you’d like to post, consider how high the image resolution is and if the image is well lit. Even slightly dark or fuzzy photos will be passed over as if they didn’t exist. Interesting, aesthetically pleasing photos will give your posts the color and depth they need to be recognized. Now, you have homework. There are thousands of studies and useful tips from social media experts out there that you can use to your advantage as you commit to become more business savvy on social media. Be sure to follow Synergy Worldwide on Facebook and Instagram for ready-to-share content and ideas. Less than one week remains until the SLMsmart 90-day Challenge begins! People are signing up every day and we couldn’t be more excited to get started on February 1. Watch the video to learn why you should join this transformation challenge and what you can expect as a participant. And remember, cash prizes go to the Top 3 most impressive transformations. In order to apply necessary upgrades to Synergy WorldWide’s network, we will be temporarily disabling the network’s digital resources on Saturday, February 6, 2016, at 8 p.m. (MST) for up to 9 hours. Every new day provides an opportunity to make better, healthier decisions and work toward your target weight. Perhaps it has been a while since you’ve seen the number you’ve wanted to see on the scale. Maybe you were in your early 20s the last time you felt strong and fit. Whatever your case may be, there is no better day than today to begin transforming into the ideal you. Do it for your health and do it for yourself. Synergy is eager to help. For this reason, we invite you to join the SLMsmart 90-Day Challenge, and take advantage of a variety of resources that will help you to achieve your goals. In addition to sculpting the body you want to see in the mirror, weight loss isn’t all about physical appearance. It’s about becoming healthy from the inside out. By coming closer to your target weight, you will experience a number of health benefits that will have an invaluable impact on your life. Researchers at Johns Hopkins University School of Medicine discovered that shaving off excess weight can help you sleep better. Some people with excess weight develop obstructive sleep apnea, which occurs when the airway is blocked while sleeping. Airway blockages often results in frequent awakenings during the night. These disruptions during sleep cycles make for groggy mornings and lower energy throughout the day. On your journey to lose weight, healthy habits need to come into play. These habits include eating nutrition-dense foods and exercising regularly. While consuming sugar can make you feel sluggish, fruits, vegetables, and lean meats are full of nutrition that boost energy levels. Exercising has the same effect. While you may believe that exercising will make you tired, it actually does the opposite by rising to the challenge you’ve presented and creating more energy. A study published by Dr. Stephen Messier showed that losing 1 lb. can take four pounds of pressure away from a knee joint. He then suggested that losing 10 lbs. relieves 48,000 lbs. of pressure from each mile walked. Considering this theory, consider how much pressure we apply to our bodies over the course of a lifetime. It’s no wonder that those carrying around extra weight are more likely to experience joint pain. The immune system is made up of a variety of cells that protect the body from outside invaders. All of these cells need to exist in a perfect balance to best protect the body. However, poor health will throw off this balance, and excess body fat plays a role in tipping that scale. Excess weight promotes the production of inflammatory molecules that disrupt the immune system, but losing unneeded weight will decrease the production exponentially. The health risks of being overweight or obese are seemingly endless—high blood pressure, heart disease, stroke, cancer, fatty liver disease, kidney disease, and so on. Do yourself and your future the favor of reducing these risks as much as possible. Give yourself the upper hand and live with the freedom of knowing you have a healthy body by working toward your target weight today. The SLMsmart 90-day Challenge is intended to not only help you reach your target weight, but establish a reasonable lifestyle that makes it easier for you to maintain your ideal figure. Between the luxury beach resort, Hawaiian cuisine, sea fishing, canopy ziplining, and warm days spent by the ocean, Legacy Retreat 2016 attendees will remember their experiences in Kona for years to come. Congratulations, again, to all those who qualified for this year’s spectacular event! Witness Kona’s paradise for yourselves by viewing the Legacy Retreat photos and watching the recap video. Decide today to make attending Legacy Retreat your ultimate goal. Becoming a Legacy Retreat qualifier is no small fete, but achieving this level of success speaks volumes about your dedication to Leave a Legacy with Synergy WorldWide. We wish you all the best in your journey toward qualifying for Legacy Retreat 2017! There are hundreds of Team Members throughout Europe becoming Elite Honors qualified every month, and chances are a few of them are on your team! With only two months left to earn a Go Elite bonus, it’s important to track your team’s progress so that you can support each individual in their pursuit to become Elite Honors qualified. This is why we’ve created a simple way for you to track those you personally sponsored through an easily accessible report. Login to your Pulse account. Click on the “Reports” tab and select the “Elite Honors Report” link. The report that opens will show the recruiting efforts of everyone you personally sponsor in the current month. The report includes the personally sponsored Team Member’s Synergy ID, their names, their qualification status, Autoship template’s activation status, TC 1 volume, new activation volume, and how many times they’ve been Elite Honors qualified. Keep in mind that this report shows data from the current month’s open commission period. Each commission period ends when Synergy runs final bonus, which occurs approximately one week into each new month. By checking this report often and using it to support those you sponsor, you will come closer to earning the ultimate Go Elite bonus of $1200 by sponsoring at least 10 Elite Honors qualifiers. Most importantly, you will be building a strong team with a strong foundation. 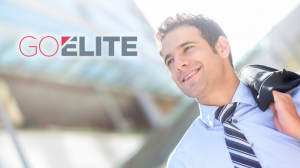 CLICK HERE to learn more about the Elite Honors earnings model and the Go Elite promotion. Thank you to everyone who registered for North America Kickoff 2016! We are at maximum capacity and couldn’t be more excited to fill Synergy WorldWide Headquarters with all of you. Can’t wait to see you Febrary 5-6, 2016. Keep checking the blog throughout the next two weeks for more event details! In order to simplify the Go Elite promotion and make its rewards more accessible to Team Members, we’ve made a few adjustments to the promotion requirements. A Go Elite model was launched in Synergy’s European markets in September 2015 that has produced dozens of Bonus earners every month. Considering how hugely successful this model has been for Team Members in Europe, we are tailoring the North America model to match the European model more closely. Click here to reference the former Go Elite Promotion requirements. Changes were also made to the Elite Honors earnings model with the same intent to simplify the model and make its rewards more accessible. Click here to reference the former Elite Honors requirements. We hope you find elevated success with these Elite Honors enhancements as you charge forward into the New Year and take action in pursuit of your business goals. Learn more about these enhancements by listening to the 2016 Kickoff Call. KICKOFF 2016 REGISTRATION IS OPEN! Make the upcoming North America Kickoff your catalyst for a flourishing Synergy business in 2016! Join us at Synergy WorldWide Headquarters in Pleasant Grove, Utah, February 5-6 for special trainings and insights from Synergy leaders. Go into 2016 wiser, more prepared, and more confident in your ability to take your business to the next level. Only 100 seats are available! Register now to secure your spot. Closing Session: 9 a.m.-12 p.m.